In a few short days I’ll be headed to LA for another amazing press trip. It includes a viewing of Disney’s new live-action film Beauty and the Beast along with 24 additional bloggers. I’ll even get to interview Emma Watson plus more incredible celebrities and so many amazing screenings. My first night there we will get to screen the new live-action Beauty and the Beast movie! I can’t wait to see this new movie. I was such a huge fan of the popular animated version that came to theaters when I was eleven years old. Screening the new movie will get us prepared for a day full of interviews. First we will get a special music presentation with Alan Menken, a composer famous for working with Disney and the man behind the music for the new Beauty and the Beast. 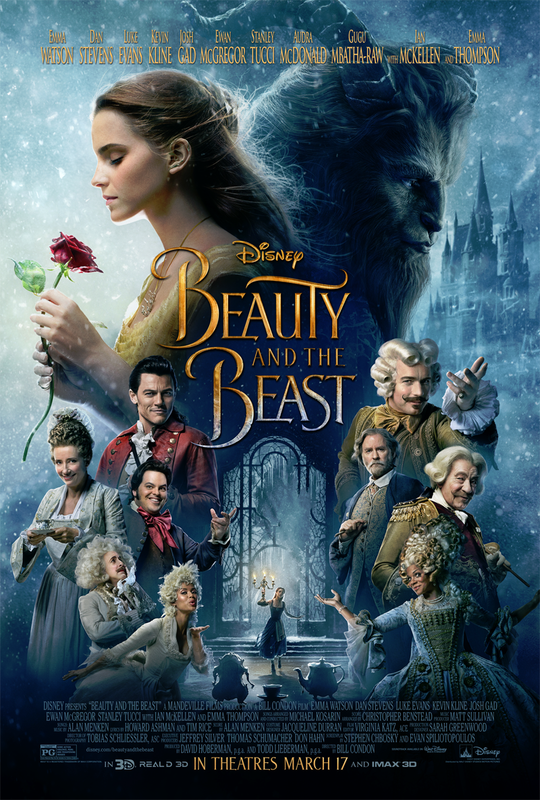 This will be followed by interviews with Director Bill Condon & Alan Menken (Music By), Luke Evans (“Gaston”) & Josh Gad (“Le Fou”), Audra McDonald (“Garderobe”) & Gugu Mbatha-Raw (“Plumette”), and Emma Watson (“Belle”) & Dan Stevens (“The Beast / Prince Adam”). Beauty and the Beast arrives in theaters March 17, 2017! 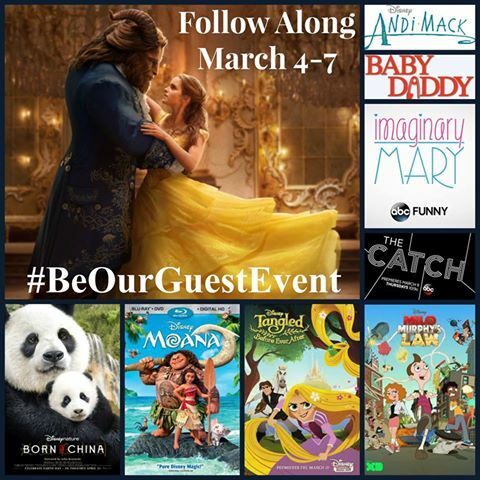 Then we’ll head to the Beverly Hills Williams Sonoma for a Beauty and the Beast themed blogger event where we will snack on Soup Du Jour, Meat Ragu, Cheese Soufflé, etc., enjoy a cooking demonstration, learn how to make paper roses and more! Check out the breathtaking limited edition Beauty and the Beast Le Creuset cookware! As if that’s not an incredible event in itself, the next day we’ll head off to the ABC Building to screen the upcoming episode of “The Catch” including interviews and photos with the cast. “The Catch” season premiere airs Thursday, March 9 at 10/9c. Next we’ll head to the Disney Burbank Center to screen the season 6 premiere of the hilarious comedy “Baby Daddy”. We’ll get to enjoy a “Baby Daddy” Baby Shower lunch including Q&A and photos with Chelsea Kane (“Riley Perrin”), Derek Theler (“Danny Wheeler”) and Tahj Mowry (“Tucker Dobbs”). I had the opportunity to meet and interview the cast during a “Baby Daddy” behind the scenes set visit a few years ago. I can’t believe it’s been that long ago! The Season 6 of “Baby Daddy” starts March 13 on Freeform! After that we’ll screen Tangled: Before Ever After and have Q&A and photos with Executive Producer/Supervising Director Chris Sonnenburg and Supervising Producer Ben Balistreri. Tangled: Before Ever After is an upcoming Disney Channel Original Movie premiering on March 10! We’ll also screen an episode of “Milo Murphy’s Law” including Q&A and photos with Creators and Executive Producers Dan Povenmire & Jeff “Swampy” Marsh. 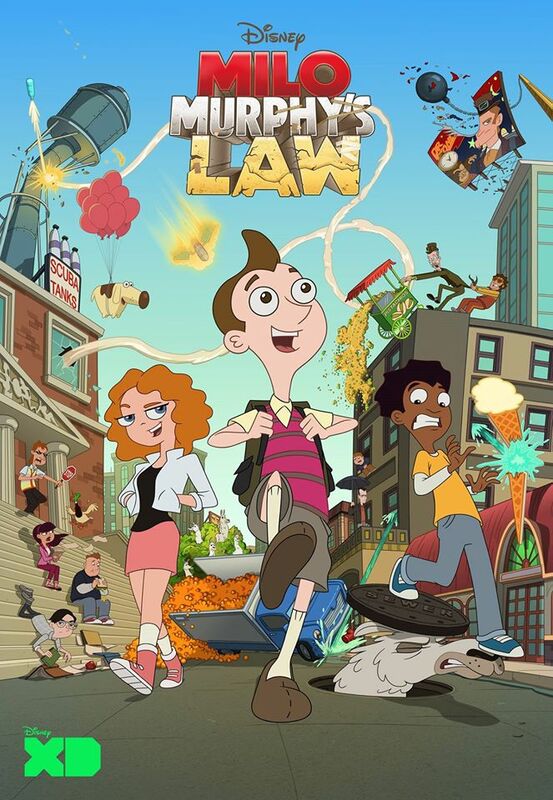 “Milo Murphy’s Law” is a Disney XD series that first premiered October 3, 2016 and will soon start its second season! After shopping at studio store on the Walt Disney Studios lot we’ll head over to the Walt Disney Studios Animation Building. We’ll enjoy a Polynesian-themed dinner and presentation for the Moana Blu-ray release including a bonus features showcase and a Q+A with Director Ron Clements and Producer Osnat Shurer. Get your Moana Blu-Ray and DVD combo pack which releases in stores March 7, 2017. Before the day ends we’ll screen DisneyNature’s Born in China. Born in China hits theaters everywhere Earth Day, April 21, 2017! The next day we’ll start at the Disney Burbank Center to screen the first 2 episodes of “Andi Mack” as well as Q&A and photos with Peyton Elizabeth Lee (“Andi Mack”), Lilian Bowden (“Bex”), Lauren Tom (“Cecilia”), Creator/Executive Producer Terri Minsky and Executive Producer Michelle Manning. “Andi Mack” can be found on the Disney Channel! We’ll then head back to the ABC Building for a screening of pilot and episode 102 of “Imaginary Mary” with Q&A and photos with Jenna Elfman (“Alice”), Stephen Schneider (“Ben”) and Executive Producers David Guarascio & Patrick Osborne. “Imaginary Mary” premieres March 29, 2017 on ABC. Whew! It’s a jam-packed press trip. I will be balls to the walls promoting and sharing my views on every screening and interview. Do you have any interview question suggestions for any of the above? If so, comment below and share your questions with me and I’ll try to get them in! Also, be sure you’re following the hashtags below to see all the amazing happenings on this press trip!